Summary: Kotoura is a girl who can read other people's thoughts. Everybody around her is afraid of her and her ability, until one day he ran into Manabe and the ESP club. Personal comments: First half of episode one is actually rather sad. Then it took a 180 turn to become a comedy. Then it has been constantly shifting in and out of funny and sad stories ever since. The anime I once thought is the king of sudden mood shift, Clannad, actually pales in comparison to this. It just keeps amazes me how quickly it can go in and out of a comedy or tragedy mode so quickly. Since this is the last new anime from this season I'm reviewing, I can safely say, Kotoura-san is currently occupying the top spot among all new animes from this season. Yes, it is that good. 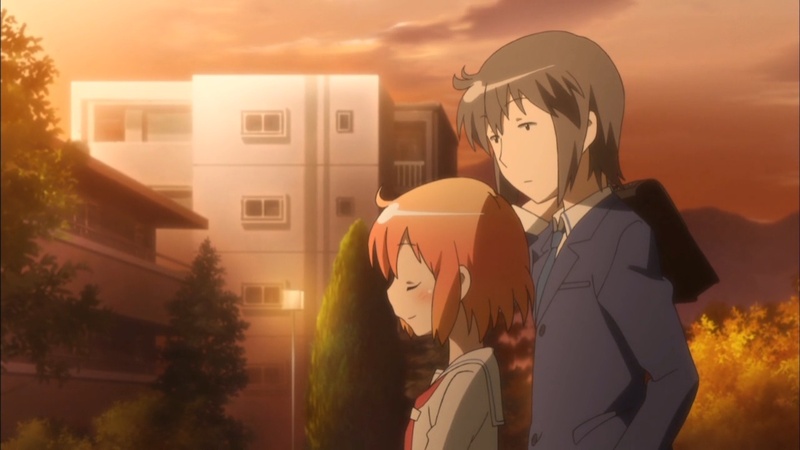 If I can only recommend you one anime from this seaon to watch based on early impression, Kotoura-san would be it.